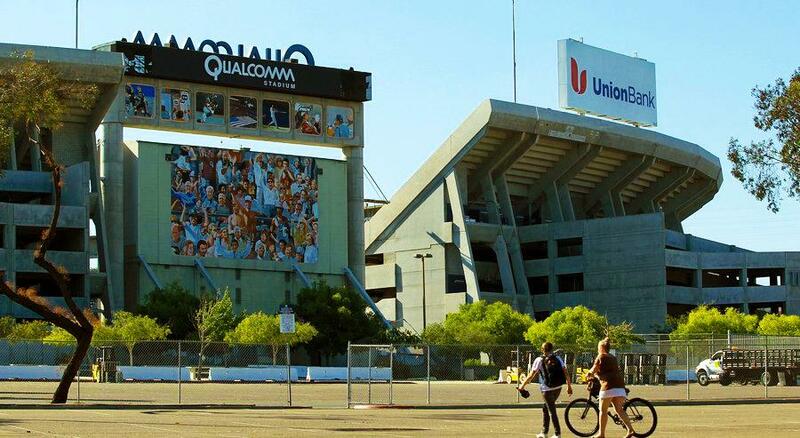 Sadly Qualcomm stadium (San Diego Chargers stadium) DOES NOT provide a dedicated nursing room, mothers lounge, or nursing pod for breastfeeding and breastpumping mothers attending games and events. Your options are either openly breastfeed which you're allowed to do or try the first aid stations. One First Aid station is located on the Plaza Level between Gates F and G. Another First Aid station is also located on the Plaza Level at Gate N.
Note: State of California protect a nursing mothers right to openly breastfeed whenever and wherever she is allowed to be in public or private.